With Lee Shin's band The Stupid winning over Lee Gyu Won's 'The Invincible Wind Flowers' in the Rock vs. gukak match-off, upcoming 'Heartstrings' episode will unfold the consequences of the loser(Lee Gyu Won) of the challenge - serving as a slave for the winner(Lee Shin) for one month. The set of drama stills is also said to resemble a summer coffee CF as the warm color concept, the setting and the expressions of Park Shin Hye and Jung Yonghwa create the picture of a CF rather than a drama. 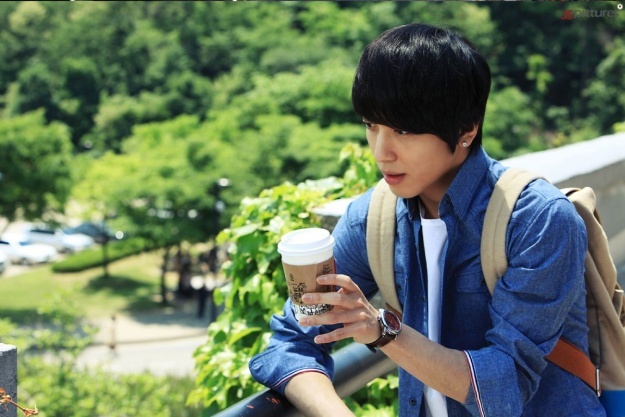 The third episode of 'Heartstrings' will air tomorrow, July 6th, on MBC at 9:55pm. It has been said that Park Shin Hye and Jung Yonghwa will share a heart-to-heart talk.. CHEEKY!!!! OMGGG LOVE LOVE LOVE!!! Can't wait for tomorrow's ep! waiting for this drama in a week seems foreverrrrrrrrr!!! I totally can't wait to see this episode. But I have to wait for it to be translated and subbed too... so much more anticipation. It just sounds so cute and fun what their relationship is going to be like. I am really loving this series already! Hahahah!! 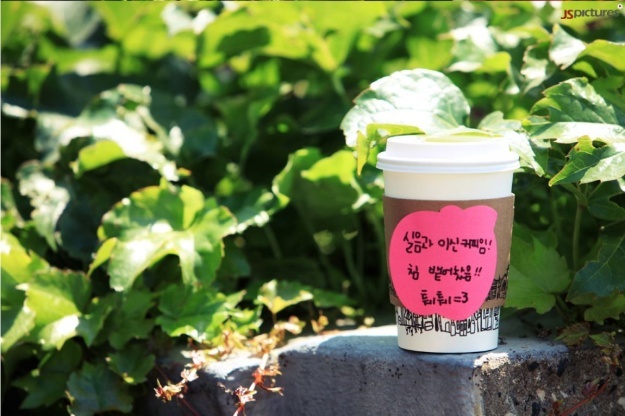 !>0< How could Shin be able to drink a already-spit-in cup of cafe now?? ?